Brookvale Oval is Renamed 'Lottoland'! Top NRL club Manly Sea Eagles are about to get luckier! The famous club and Lottoland Australia just announced a commercial partnership which will see Sea Eagles’ home ground, Brookvale Oval renamed as ‘Lottoland’. Check out the details of this seven-figure deal that marks the beginning of a new era for Northern Beaches’ favorite team. Brookvale Oval has been the home ground of the Manly Warringah Sea Eagles for 70 years and, during this history, the stadium has been the stage for many remarkable victories of the club - including a full unbeatable season in 2011! March 2017 will certainly become an important part of this history, since it will mark the beginning of a promising partnership between the Sea Eagles and Lottoland. Some time ago the Sea Eagles approached Lottoland with a proposal for a potential partnership and, after negotiations, last week the club could make the official announcement about the deal. The seven-figure-partnership was received with optimism by the athletes and many fans of the club who see this as a great opportunity for the team. The oval, for example, hasn’t been on its best shape lately, earning some pejorative nicknames by rivals’ teams, such as “Graveyard” or “Fortress Brookvale”. The new funds could potentially be invested on an upgrade of the stands. “We are excited to secure this commercial partnership and see it building strongly over the long term with both parties working together on joint community initiatives. 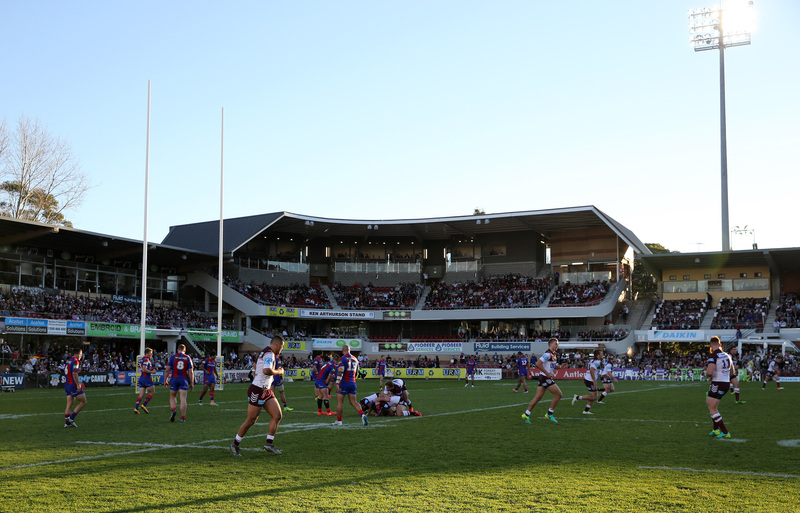 We see this as a pivotal step to further ensuring the Sea Eagles continue to play home games on the Northern Beaches”, declared Tim Clearly, Sea Eagles Chief Executive Officer. What’s in it For Lottoland? After a very successful first year in the Australian market, the opportunity to invest back in the community by sponsoring one of the most important NRL teams came as very exciting news to all of us. “When Manly approached us with the opportunity to rename the historic Brookvale Oval to Lottoland and help keep the Sea Eagles playing in Manly, we jumped at the chance”, said Luke Brill, Lottoland Australia Managing Director. The sponsorship deal includes the renaming of the Brookvale Oval to “Lottoland” on a long term basis, as well as Lottoland securing the coveted top of back position on Sea Eagles’ jerseys for at least the next two years. All the Luck to the Sea Eagles and the Lottoland! The oval’s new name carries a history of good luck, as many of our winners would agree. Will the name change bring even more victories to the Manly Sea Eagles? Only time will tell. Meanwhile, have a taste yourself of Lottoland’s good luck and make a bet on one of our international lotteries! Brookvale Oval is now 'Lottoland'!